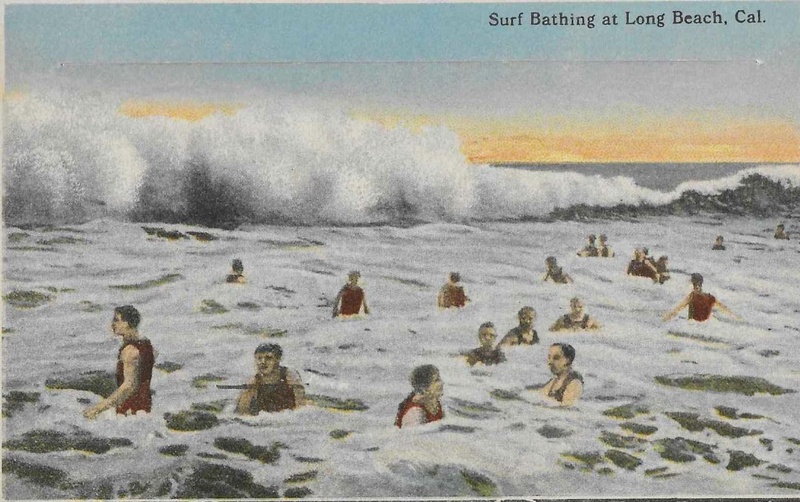 Early 20th century post card shows large waves and active beach culture in Long Beach. Long Beach and the Army Corps of Engineers formally unveiled five proposals on Monday to improve the ecosystems in the city's harbor area. One of the proposals would remove a third of the breakwater that's allowed development but that killed waves and beach culture after 1949 when it was completed.